Plaque is a sticky, gooey substance, and while regular brushing can usually eliminate most of it, any that remains can harden into tartar. A typical toothbrush and floss don’t stand a chance against tartar. So tartar continues to accumulate below the gumline as well as on the surface of your teeth. Soon, you risk more serious problems – the potential development of gum disease. Recent research shows a clear link between untreated gum disease and other, more serious conditions like heart disease, stroke, and diabetes. Which means having your teeth cleaned by a professional hygienist is one of the best reasons to visit your dentist. In fact, having your teeth cleaned regularly is one of the easiest things you can do to stay healthy! 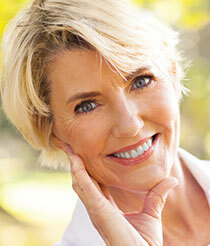 Just as our bodies alter as we grow older, our teeth and gums do too. 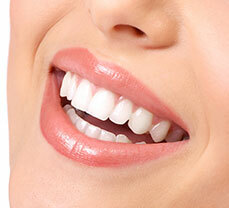 Years of plaque accumulation, as well as drinking coffee and tea or using tobacco, can make teeth turn dark. Ask us about techniques that can reverse this. A reduction of saliva is sometimes a side effect of medications. There are easy-to-use products that can make this condition more bearable. Your fillings are becoming older, too – more prone to becoming weak and cracking. Regular check-ups will allow us to keep your fillings in tip-top shape. Gum disease and root decay pose a higher risk of development in seniors. If your gums become red or begin to bleed, or your teeth start to feel loose, contact us promptly. Remember, daily cleaning and good nutrition are crucial for maintaining healthy gums. 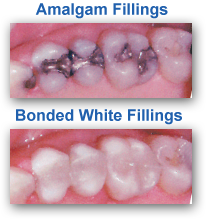 Dr. Brent is pleased to provide white bonded fillings for patients who need a cavity filled or restoration of minor damage to a tooth. These fillings aren’t like the traditional ones you may be familiar with. They are a natural-looking white to match the color of your teeth, contain no metals, and can actually strengthen your teeth. The way they bond tightly with the healthy part of the tooth allows her to save more existing tooth structure, and there is less chance of decay in the future. A root canal…the very idea is enough to make people shudder. In the past, before the advent of proper tools and anesthesia, the root canal earned a dreaded reputation. Dr. Brent understands your concerns and has this procedure down to an art form. If you’ve heard others complain about root canals, you will be pleasantly surprised to see how smoothly this procedure can go. Modern anesthetics and advanced technology render root canals extremely manageable. When dental decay touches the nerve of the tooth (or the tooth has developed an infection), and a simple filling will not repair the damage, extraction used to be necessary. This can cause a whole new list of problems. But Dr. Brent will remove the infection – eliminating pain – and fill and seal the tooth, saving it! Call us today and find out how we can help you save your teeth. When teeth are infected or extensively damaged, extraction is the necessary solution. We are able to perform most extractions in our office, so you won’t be inconvenienced by referral to another office. We can even offer bone grafting at the time of extraction to help preserve vital underlying bone. Dr. Brent’s years of experience allow her to perform this procedure with a gentle approach and minimal discomfort. Do you recognize that dental occlusion (i.e. your bite) is sometimes the reason behind frequent headaches, aching or popping jaws, or shoulder and neck pain? If your teeth have been worn down over the years or are missing due to accident or dental disease, your jaw is not capable of returning to its intended relaxed position. This creates tension in the muscles of your jaw and can cause a variety of pain that you may have already grown accustomed to enduring. By reestablishing your dental occlusion, your jaw can be returned to the comfortable position that nature intended. Relieving TMJ-related pain can sometimes be as simple as creating a removable night guard to be worn while you sleep. Depending on the cause of symptoms, some may need a full mouth rehabilitation to reestablish natural alignment. If it’s time for your next cleaning, schedule online or call us now at (913) 220-2209.